Because listening to your sound is an intimate experience best shared only with yourself and your boom operator and maybe anyone who happens to be on the Telex, if you're into that sort of thing. Screw-on adaptor for threaded 1/8" jacks. Closed-back over-ear headset with a dynamic cardioid mic and a straight cable with 1/4" input and XLRM output. Switch headphones between a mono audio mix/Clear-Com beltpack feed (one in each ear) or a stereo audio mix.. Includes XLR3 input for talkback mic. 10' 1/4" female to 1/4" TRSM. Slim single headset for use with the Otto Connect wireless intercom system. A smaller sized version of the Garfield Headphone Softie. Pair of replacement earpads for Sennheiser HD 280 headphones. 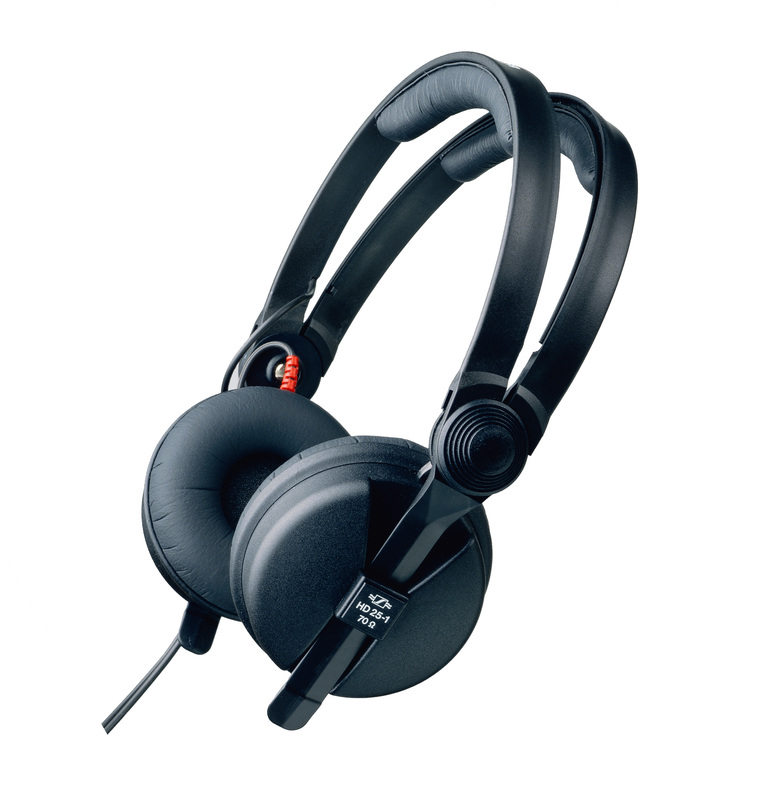 Comfortable, over the ear headset with a dynamic hypercardioid microphone and limiter.